Who’s learning, what for, and why that matters. Back in 1985, Robert Gardner provided us with a theory for what motivates people to learn a foreign language. In this theory he identified two separate orientations towards language learning: instrumental and integrative orientation (Gardner 1985). Instrumental orientation was about practical reasons for language learning, such as the need to get a job, pass an exam, or gain access to higher education. Integrative orientation, on the other hand, was more about a desire to integrate into the community where the language is spoken. It therefore included factors such as interest in the L2 culture and in the language itself. 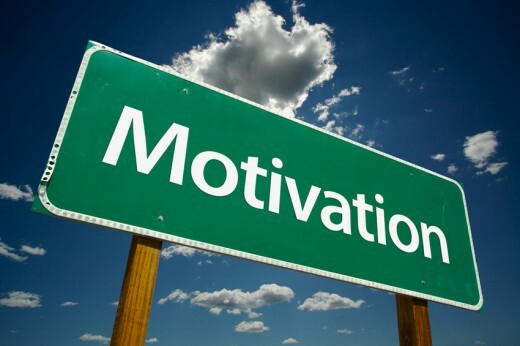 Extrinsic motivation comes from the desire to get a reward or avoid punishment; the focus is on something external to the learning activity itself. With intrinsic motivation the learning experience is its own reward. While working in Central and Eastern Europe in the mid- to late-90s, it was easy to identify integrative motivation in many of my students. They were mostly young, upwardly-mobile adults, well-educated and highly literate, who were paying money to learn English. Some of them were no doubt influenced by instrumental factors such as the desire to get a better job, but most of the students on General English courses were there because they relished the opportunity to learn English. The end of the Cold War had opened up a whole new culture which had previously been unavailable to them, and which (perhaps as a result of its unavailability) was incredibly alluring. Whether it was an interest in music, films, fashion, politics, the British royal family or double decker buses, many of these students saw English as the key to becoming closer to, or part of, British and American culture. They were so motivated by this that they were prepared to pay a lot of money for the privilege of studying. These students weren’t just into the culture and lifestyles that were synonymous with English. They were also interested in language and language learning. They knew the grammar of their own language inside out, and were able to apply this knowledge when studying English. I could actually start a lesson by saying something like “OK, today we’re going to look at the differences in form and meaning between the present perfect and the past simple”. Not only would they understand what I was talking about, but they would actually find this introduction motivating. Grammar wasn’t just a list of necessary rules for them; it was, in and of itself, an interesting topic. Nowadays, of course, things are very different. English has become a global language, with the rise of ELF (English as a Lingua Franca – see Seidlhofer 2005) meaning that most communication in English takes place between non-native speakers. This means that English is no longer the domain of countries where it is a first language, so it is not necessarily synonymous with any particular culture or population group. But it’s not just L2 motivation researchers that need to consider the global English phenomenon when selecting their methodology; it impacts on how we should teach as well. For many years now, the whole idea of using a structural syllabus to teach language as a series of individual grammar items has been widely criticised. The main reasons for this criticism is because it doesn’t tie in with research about how languages are learned (Ellis 1993). However, another reason is that people who learn languages these days are less likely to be motivated by a grammatical approach. The globalisation of English, and the global need to learn it, means that English is being learned by people with no interest in English-speaking cultures and, crucially, no real interest in language. 20 years ago, many students would be interested by a clarification stage where the teacher animatedly explained the difference between the present perfect and the past simple. The teacher could talk for several minutes about the use of auxiliaries and participles, and the students’ understanding of these terms and genuine interest in how language works would motivate them to follow, take notes and (possibly) ask relevant questions. These days, learners of English are motivated by more pragmatic things. English is not an abstract concept spoken by people in a far-off country that they would like to get more closely acquainted with. English is a necessary, practical tool that relates directly to their ability to get on in life. In this globalised society, it is possible to use English in a far wider range of contexts than ever before. Non-native speakers are likely to need it to communicate with each other, and the Internet and smartphones make English available to anyone who wants to access it. Even in the UK, where English is part of the local culture, a lot of learners are not motivated by the desire to integrate. Many of my students are quite comfortable socialising in their own L1 communities, but need English for what Gardner would have described as instrumental reasons: employability, access to vocational programmes, that sort of thing. Even motivation to perform transactions like attending parents’ evenings with their children seems to be borne more out of necessity than by a desire to integrate into an English-speaking community. The fact is, anyone who moved to the UK for genuinely integrative reasons probably learned English before they came here (it’s now relatively easy to learn English online in your bedroom) or, simply by integrating, they would have picked the language up pretty quickly when they got here. Either way, they don’t need my help. No, I’m mostly teaching students who are not particularly interested in English as a subject; they are interested in English as a tool. If I was to introduce my lesson on Monday morning by saying we are going to focus on the differences between the present perfect and the past simple, they wouldn’t respond very well. However, if I say something like: “OK, today you’re going to learn how to talk about your past achievements and then use this language to write a cover letter for a job application”, I think they’ll be motivated to work pretty hard. Of course, this doesn’t mean I can just present the lesson differently and then go on to teach the same old grammar stuff. My whole approach to teaching is different now than it was in the nineties. I’m not just using “writing a cover letter” as some covert excuse to introduce grammar that I previously decided I want to teach them. I’m giving them an opportunity to use English to do something useful, and I will clarify whatever language that comes up, at the point of need (Wilson Nelson 1991). I might need to clarify issues related to the past simple and present perfect, but then again I might not; there’s no point in teaching something that the students are already able to use. At the same time, there’s a whole range of other language that I may need to clarify, so I’ll need to monitor closely and be able to step in where necessary. Whatever I end up teaching, at least I can be sure it will be something that the students need to know. Arnold, J. and Brown, H.D. 1999 : “A map of the terrain”, in J. Arnold (ed. ), Affect in Language Learning (pp. 1-24), Cambridge: CUP. Dornyei, Z. and Ushioda, E. 2011: Teaching and Researching Motivation (2nd edition), Harlow: Pearson Education. Ellis, R. 1993, “The structural syllabus and second language acquisition”, in TESOL Quarterly Vol. 27 pp. 91-113, Philadelphia: TESOL inc.
Gardner, R.C. 1985, Social Psychology and Second Language Learning: The Role of Attitudes and Motivation, London: Edward Arnold. Seidlhofer, B. 2005, “Key concepts: English as a lingua franca”, in ELT Journal Vol. 59/4 pp. 339-341, Oxford: OUP. Wilson Nelson, M. 1991, At the Point of Need: Teaching basic and ESL writers, Portsmouth, NH: Heinemann. Thanks for the rich (as usual) and provocative (as usual) post, Steve. I agree with much of what you say, though not necessarily with all the ‘logical connections’, but that’s probably in part because the context I work in is very different from your current context, and also because my observations are just mine, i.e. I’m not suggesting I have systematic data on the subject. My impression of adult learners here in Hungary is that (a) they still see learning grammar rules as the core of language learning, i.e. they equate the two, and (b) NS English persists as a standard or benchmark for learners, despite the fact that most of their interactions (even just those via the internet, and even passively) are probably with NNSs. Because I regard both of these attitudes as potential impediments to the learning process, I think a teacher here has to deal with both views– to show learners that the sort of view of learning that you’re describing (that you do) is likely to lead to more significant progress in learning the language. I also found what you write about motivation theory/types in the first part of the blog interesting, and what came to mind is an exercise I sometimes do with teachers on a DELTA course, which is to see these four types in a matrix, with integrative/instrumental on one side and intrinsic/extrinsic on the other. The task is to describe a learner for each of the four parts of the matrix– the point being to notice that there’s no alignment between any two of them (e.g. instrumental and extrinsic). It seems like a mindbender at first but if one keeps in mind that these labels are our tools, not our masters, it can be both eye-opening and fun. Thanks again, looking forward to the next post! Thanks for your comment – as someone who has been teaching in Hungary right the way through from the 90s to now, you’re in a better position than me to say how language learning/teaching has changed, if at all. I suppose there are two issues here – learners’ perceptions of how they should learn English, and what motivates them to learn. It may well be that grammar is still viewed as the key focus for language learning, but I think this can only really work for learners who are really good at taking on board grammar rules and then applying them directly to a range of contexts. But even then, over-reliance on grammar can lead to problems. English is so full of irregularities and there aren’t really enough reliable rules to hang everything else on. As for motivation, it seems odd that learners in Hungary are still motivated by ideas of integration, even though they tend to use English with non-native speakers. But if it works for them, let’s not knock it! It’s strange that the concept of integrative motivation doesn’t seem to apply much to learners here in Scotland though. I do think it must be that students who genuinely want to integrate manage to do it fairly quickly, leaving the less confident (or less interested?) ones to sign up for courses like the ones I teach on. I like your task for examining the four different types of motivation. Have you also explored Dornyei’s motivational system of the L2 self? This is about focusing learners on how they can use English to become the person they want to be (whoever that is – integrated into the L2 culture or not) and using this as a motivational tool. This is something that seems to fit in nicely with my learners here. I wonder if it would work with yours as well? Thanks again for your great comments (as usual). « Never Mind the Bo**ocks – here’s The TEFL Skeptic!